Tommaso Volpi, the new coach of Qormi FC. Premier League club Qormi have struck an agreement with Italian Tommaso Volpi to become their new coach. Volpi, who has had spells with several low-league clubs in Italy, including Cavese, Viterbese and Montevarchi, is the husband of Angela Perez, a distant relative of Real Madrid president Florentino Perez. She heads Solo Football, the sports agency that captured headlines earlier this week after announcing an agreement to take charge of the technical sector of Division One club Gudja United. 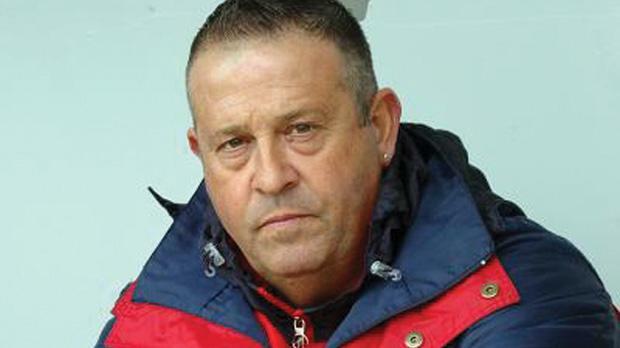 Contacted by The Times of Malta, Volpi confirmed his ap-pointment as Qormi coach. “The project is very simple... I’m going to be the coach of Qormi,” Volpi said. “With Qormi, we will try to reach the Europa League. If we succeed, we will be delighted but our aim is to work hard to attain our objectives without being overly ambitious. News that Volpi is to be named coach of Qormi initially cast doubts on Gudja United’s partnership deal with the Italian’s collaborators but he insisted that his new job will have no impact on the agreement with the Division One club. “I have a close friend who has connections with Gudja as he knows George Caruana (a club official),” Volpi said. Volpi explained that his interest in Maltese football started in 2012. “I began to monitor Maltese football around a year ago,” he said. “I’ve been looking at work op-portunities outside Italy. “I received proposals to coach a third division team in Germany and in Bulgaria’s second division but I was sceptical about these offers. “With the assistance of my friend who is acquainted with George Caruana, we discussed the possibility of pursuing a coaching job in Malta. “I like the island and I believe that Italian coaches have the right qualities to do well here. “I spoke to Floriana, Mosta and Qormi in the Premier League. I chose Qormi because Redeno Apap left the best impression on me. “He is very straightforward and has clear ideas about the way forward for his club. Redeno Apap, the Qormi president, explained that Volpi’s appointment is part of a long-term strategy aimed at turning the club into Premier League challengers. “In the first year of our agree-ment, we will work to strengthen the club’s structure mainly,” Apap said. “After that, we will focus on building a competitive squad to challenge for the major honours in Maltese football. Apap confirmed that Volpi will be in charge of the technical area. “Tommaso Volpi is the new coach of Qormi,” Apap said. Volpi’s imminent appointment as Qormi coach means that Jesmond Zerafa will not remain in charge of the team. Zerafa returned for a second spell with Qormi in November last year after Stephen Azzopardi left the club to take over at Floriana. Under Zerafa, winner of back-to-back Premier League titles during his two-year stint with Valletta FC, Qormi retained their Premier League status and reached the final of the U*Bet FA Trophy where they lost 3-1 to Hibernians. Meanwhile, Gudja United will officially announce their technical agreement with Solo Football during a news conference today week. With Volpi due to take over at Qormi, Luca Bindi and Giannoni Massimiliano are the main candidates for the coaching post at Gudja.